John Archibald Austen (1886-1948) was a prolific illustrator. Born in Buckland near Dover in Kent, he arrived in London in 1906. His father was a carpenter and Austen had trained in the family trade but, inspired by the work of Aubrey Beardsley, he determined to work as an artist and, in London, began training – as well as devoting much of his time to amateur dramatics. In 1919 he married Ruby ‘Tommy’ Thomson, who was often to serve as his muse – her features are recognisable in many of his illustrations. In the same year he joined the staff of the Penny Illustrated News and became an associate of the Royal Society of British Illustrators. The society granted him full membership in 1921, the year in which Austen’s illustrations first appeared in print in Ralph Holbrook Keen’s The Little Ape (London: Henderson, 1921). 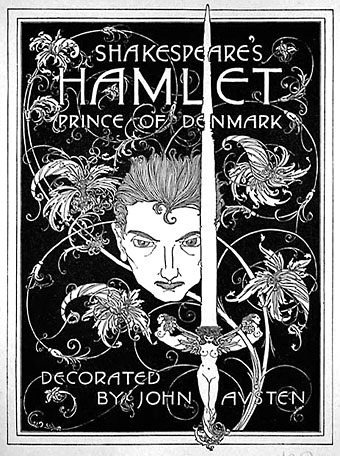 It was his second illustrated book, Hamlet, which was published the following year that earned him recognition, respect and further commissions (London: Selwyn & Blout, 1922). In 1925 his works featured in an exhibition at St George’s gallery, alongside those of his friends Harry Clarke and Alan Odle. During the early part of his career his work was heavily influenced by Beardsley but increasingly he developed a witty and elegant style of his own that owed much to but did not precisely follow the Art Deco movement. 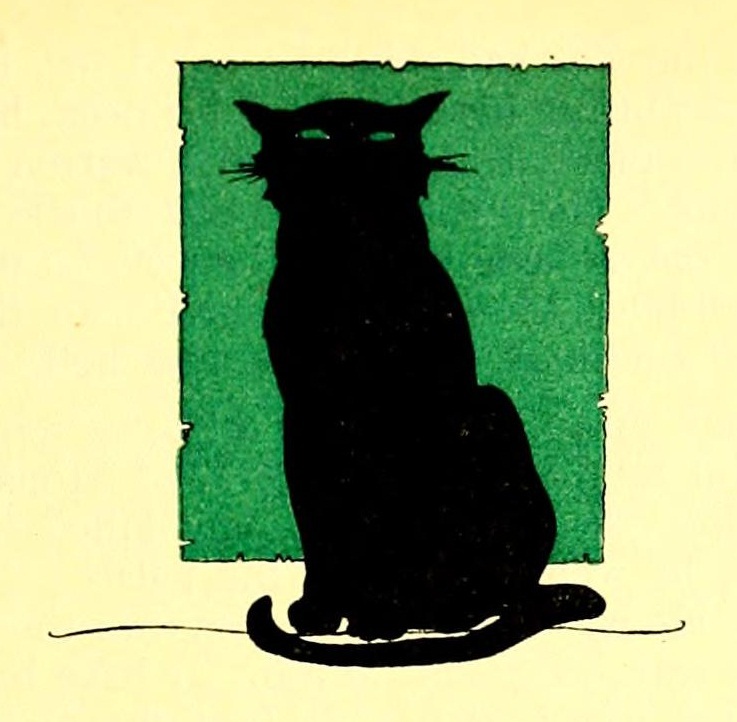 He continued to work on book illustrations (and in advertising) throughout the 1920s. In London he moved in Bohemian circles which included the controversial artist and occultist, Austin Osman Spare, as well as Clarke and Olde and Odle’s wife, the modernist novelist, Dorothy Richardson. By the mid-1920s Austen had tired of London life and returned to his home county of Kent but he struggled to reconcile the Beardsleyeque style of his London work to rural surroundings. As Austen put it “Back in the country I found myself unable to proceed with my work. Beardsley seemed out of place among the fields and trees, and every crow that looked at me from over the hedge seemed to be laughing at my conception of life. So I decided to begin again, a painful process, until I discovered Greek vases”. 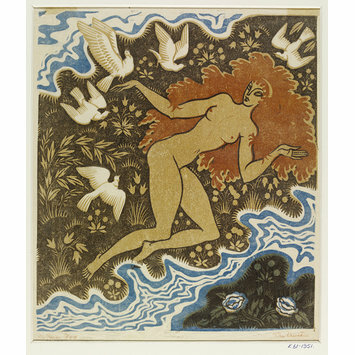 The picture above, Cythera, is a 1930 print by John Austen. John Lane at the Bodley Head commissioned illustrations for Don Juan (1926) which proved so successful that by 1929, Austen had illustrated a further four Bodley Head giftbooks – Anatole France’s The Gods are Athirst (1927); Laurence Sterne’s The Life and Opinions of Tristram Shandy, Gentleman (1928), which Austen proclaimed his favourite; a new translation of Flaubert’s Madame Bovary (1928); and Defoe’s Fortunes and Misfortunes of the Famous Moll Flanders (1929). W H Davies, in his introduction to Moll Flanders, said “John Austen’s illustrations are a sheer delight, especially the one of Moll herself. The artist has made her face so haunting and intriguing, that we wonder how it is done, for he has not only shown us a woman of great beauty, but he has also revealed the woman of the world with a sane mind, and full of power”. Very popular in the UK, the Bodley Head giftbooks were also marketed in the USA where Austen’s illustrations attracted much favour and brought his work to the attention of American publishers. 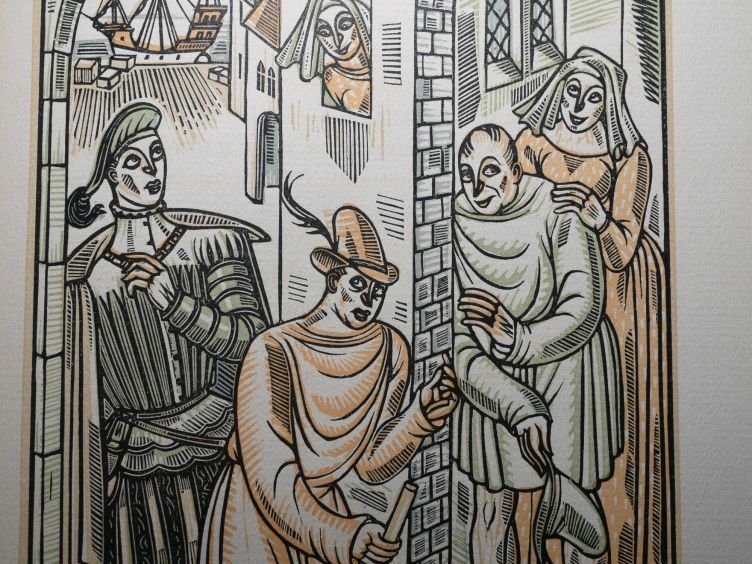 Most of Austen’s subsequent work was for US publishers of fine quality books, such as George Macy’s The Limited Edition Club (including illustrating The Comedy of Errors for the LEC’s Complete Shakespeare – of wihch the image left is an example) and The Heritage Press. He also taught at Art Schools in Thanet and Kent and wrote. His own book on illustration, The ABC of Pen and Ink Rendering, was published in 1937. In his later years he taught himself Spanish and wrote a study of Don Juan (1939), returning this time in words to a subject he had illustrated previously. Austen’s health began to fail. He found it hard to work and fell into ‘straightened’ circumstances. At the urging of his friends, George VI was persuaded to grant him a civil pension which he continued to receive until his death. He died at home at Rose Cottage, West Hythe, in 1948. The modernist novelist, Dorothy Richardson, who was married to Odle, produced a book about Austen and his work, John Austen and the Inseparables (London: William Jackson, 1930). The four examples of Austen’s work below are from a 1922 retelling of Charles Perrault’s Fairy Tales, Tales of Passed Times. Quoted form a short autobiography of Austen which appeared in a Limited Editions Club newsletter and has been produced on The Book Blog website (http://thebookblog.com/article/john-austen – retrieved 20 August 2015). Davies, W H ‘Introduction’ in The Fortunes and Misfortunes of the Famous Moll Flanders by Daniel Defoe (London: John Lane at the Bodley Head, 1929).